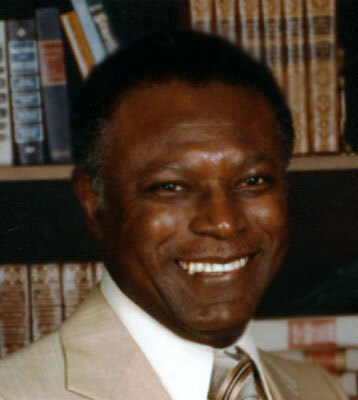 YOUNGSTOWN - Services will be at 11 a.m., Monday, March 9, 2015, at the Price Memorial A.M.E. Zion Church, for Mr. Willie Jay Barron, 88, who entered eternal rest on Wednesday, March 4, 2015, at his home, surrounded by his loving family. Mr. Barron was born June 10, 1926, in Woodland, Ga., a son of Fletcher Sr. and Carrie Bell Jones Barron. He had been employed with Republic Steel and was a postal worker with the U.S. Postal Service, retiring in 1987. He was a member of the Price Memorial A.M.E. Zion Church, where he served as a Preacher’s Steward, Sunday school teacher and on the food program. He was a handyman at both his home and his church. Willie loved being and doing for his beloved family. He leaves to cherish his memory, his devoted and loving wife, the former Ruby Dixon, whom he married Dec. 24, 1950; two daughters, Brenda (Thomas) Martin and Pamela Bradshaw, both of Youngstown; four grandchildren, Terrell Green, Brian Martin, Jason Martin and Ter’Asia Bradshaw, all of Youngstown; five great-grandchildren, Deion Martin and Taylor Martin, both of Columbus, Jaylah Martin of Cincinnati, and Damon Green and Ty-Lynn Bradshaw-Tiller, both of Youngstown; four brothers, Clyde (Louise) Barron of East Point, Ga.; Norman (Gerlene) Barron of Woodland, Jimmy Lee Barron of Decatur, Ga., and Olen Barron of Manchester, Ga.; four sisters, Hattie Dixon of Marietta, Ga., Emily Ruth (Clint) Ford of Woodland, Joyce (Jimmy) Thornton of Talbaton, Ga., and Lorraine Turner of Atlanta; and a host of family and friends. Besides his parents, he was preceded in death by a sister, Dice Lee Couch; and two brothers, Fletcher Barron Jr. and Arthur G. Barron. Friends may call Monday from 10 to 11 a.m. at the church.